The concept of Unified Communications is to provide an organisation with one platform in which all communication needs can be met. This “collaborative communications environment” can include instant messaging, presence, telephony, audio and video conferencing, and enables simple & efficient communications across your organisation, making your business more agile and profitable. It is critical that your team has effective ways of communicating, enabled by professional, resilient & secure technology. 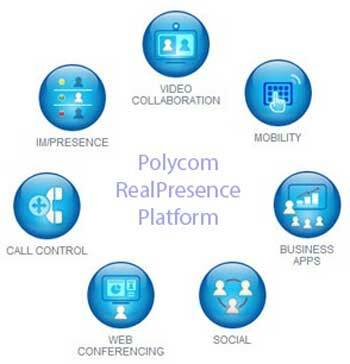 What can a Unified Communications Solution provide my Business? Visual Communications & Video Conferencing – increase face-to-face interaction, reduce travel, improve relationships & hugely increase business productivity. Mobile Collaboration – Employees can communicate inside & outside the network, wherever they are located, on whatever device they choose – tablet, smartphone, laptop. Collaborative Workspaces – Enable collaboration between remote locations and increase team engagement. 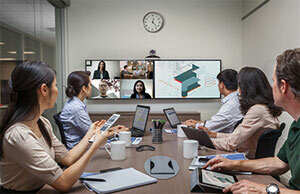 With increased productivity, efficiencies & cost savings associated to reduced travel and time savings, and improved communications between clients, customers & colleagues providing richer conversations and a stronger feeling of teamwork & engagement, a fully integrated visual communications infrastructure delivers a whole host of benefits for your organisation. The change over to Unified Communications is a migration that requires careful planning and an effective strategy. Do you fully understand how your employees work together, and how they share information with clients & customers? Do you have a deployment strategy for you communication solutions: on-premise, cloud, virtualised, hosted or a hybrid approach? What are you business needs that can be addressed with a unified integrated communications solution? VideoCentric have developed Unified Communication solutions and strong partnerships with each of the key Unified Communication vendors to help businesses and organisations specify their requirements and make the right choices. Our Microsoft Lync and Cisco Experts are on hand to help you through every step of the way – from building a business case for UC to designing a resilient and secure network, capable of handling the future of your business. And as recognised specialists in multi-vendor environments with an unbiased approach towards any specific solution, VideoCentric are here to help you design, deploy and integrate your communication solution of choice into your organisation. Contact us today to discuss your requirements or to set up a meeting with the specialists in Cisco CUCM, Cisco Business Edition Solutions, Cisco Jabber, or to talk with our experts in Microsoft Lync deployment & integration. UK Supreme Court: The Verdict’s In!